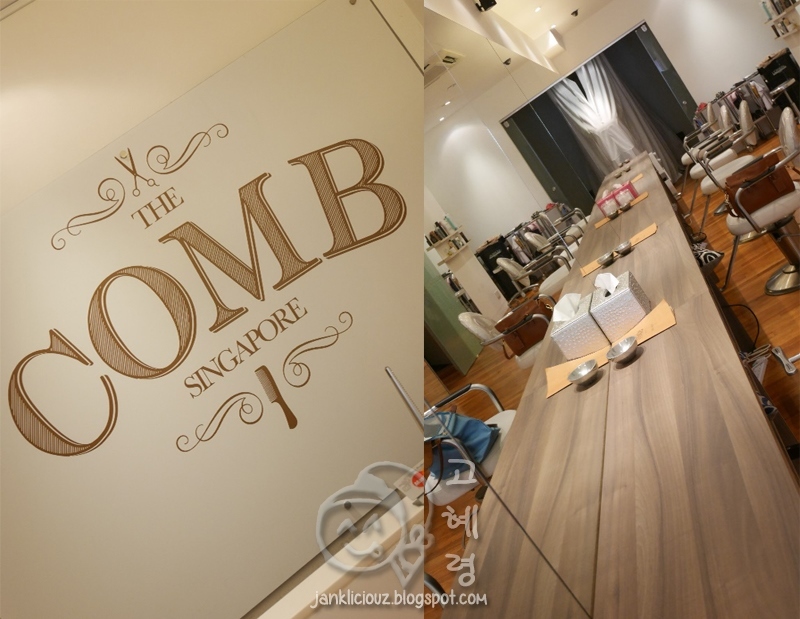 The folks at Comb Hair Salon has taken over the space which was previously a Japanese hair salon, about 6 months ago. 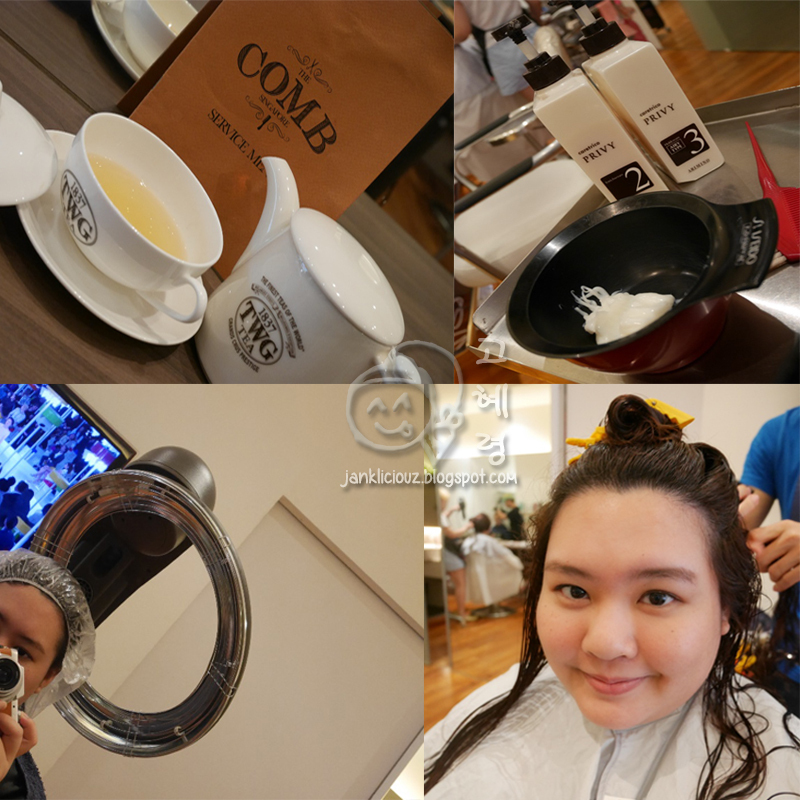 Nested in a quiet corner near Telok Ayer MRT Station, it is a convenient location for office workers to find solace in their refreshed locks over lunch. The decoration in their hair salon is an aesthetically pleasing row of hairstylist chairs and huge mirrors. They also have a wide range of brands for hair products. Their stylists come from various places around South East Asia, which includes Seoul (South Korea), Shanghai, Taiwan and Singapore, where various stylists have already bagged experiences working in the different countries. Firstly, I was given a choice of teas and juices to choose from, and I went ahead with a lovely tea from TWG. 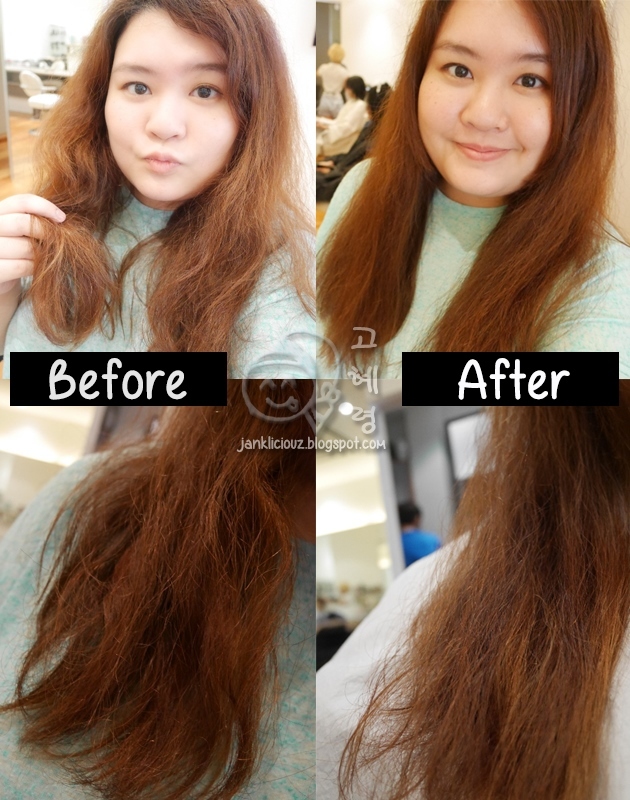 After consultation with my hairstylist, Henry, he decided that my hair was too damaged to do anything except for treatment and trimming off my split ends. So, that's what I set out to do: their 3-Step Intensive hair treatment. My hair length (which just falls above my chest), is considered long ($160). Any hair length that falls below the chest is considered extra long. If you are wondering how come my hair looked still frizzy, well, the results were really not that immediate. However, I honestly say that the hair treatment really helped my hair the next day. Even for the sake of this review, Henry refused to curl my hair because he wants to make sure the moisture is locked into my hair, so my hair doesn't show up super well styled on photos. But the next day really showed my hair texture has improved, so thank you, H! I think it is really professional that he let my hair get the best benefit, for the sake of my hair, and not for the photos only. So, here's a photo of me and my stylist for the day! My friend say he looks like a Taiwanese star, lol. This is an invited media session.